Commercial - Central Security Alarm, Inc.
Central Security offers complete solutions for any commercial application. From basic storefront intrusion to large burglar and fire alarm systems that integrate video and access control for manufacturing, retail, financial, warehouse environments, and more. Contact us today to discuss the specific security needs for your business. From single door residential applications to complex multi-site access systems that can manage thousands of users, Central Security can design an access control system to meet your needs. Access control systems eliminate keys, and allow you to restrict entry based on schedules, employee groups, and doors or door groups. System management is simple, flexible, and convenient. 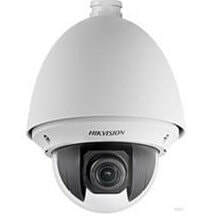 Stunning high definition video quality and advanced capabilities are available for both residential and commercial applications. Central Security can design the system that's right for you and your budget. Copyright 2019 Central Security Alarm, Inc.